Her Royal Highness Crown Princess Mette-Marit needs to have a surgery on her neck to remove the herniated disc and alleviate pressure on the nerves. The Crown Princess’s doctors have recommended for medical reasons that this surgery should be performed as soon as possible. The Crown Princess will therefore undergo the procedure at Oslo University Hospital, Rikshospitalet this week, after which she will spend several days in hospital. Following a period of recuperation, the Crown Princess will embark on a rehabilitation programme. It is too early to determine whether her sick leave will need to be extended. His Royal Highness The Crown Prince is therefore cancelling his scheduled visit to Atlanta, Georgia, USA. The Crown Princess has been on sick leave since early October and it was extended until well into December. See also Views and News from Norway 8 October, 21 October and 13 November 2013. I have just returned from a nice stay in Malta, which I hope to write about later on. But for the next few weeks I will need to take a break from blogging as well as from updating my website Hoelseth.com, as the process of moving will take up most of my time. I might be able to write two, three articles in the period after my current apartment has been sold and before moving into the new (row) house, but it is difficult to plan anything ahead right now. It might be good with a break anyway. My new address will, by the way, still be in Østensjø borough in Oslo. During the next couple of months I will also make two exciting trips abroad (decided before the new house was bought) - one to Minsk, Belarus and one to Norwich, England. I have of course visited "the Fine City" in England numerous times, but this year the Norwich City Supporters' Club of Scandinavia celebrates its 30th anniversary, and the occasion will be marked among others with a football match and an anniversary dinner. I am sure both trips will provide opportunities for blogging at a later stage. The third issue of Royalty Digest Quarterly this year arrived today, just in time for my fall break. It is always nice to have something new to read on my vacation! The front page suggests that the Romanovs are back in the limelight again, which is rather natural, considering the dynasty's 400th anniversary this year. The magazine's historical consultant Charlotte Zeepvat, is this time responsible for the article Imperial Russia. A Family Album - Part I, which includes as many as 102 photos as well as 4 pages with genealogical tables. 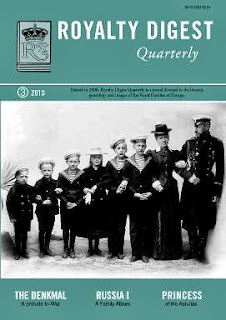 The photo on the front page shows Konstantin Konstantinovich of Russia, his wife Elizaveta Mavrikievna and their children, from right Ioann, Gavril, Tatiana, Konstantin, Oleg and Igor. But before we get as far as to the photo album, the editor Ted Rosvall has commented on Prince George of Cambridge and on British title issues in general, while Alberto Penna Rodrigues has made the contribution The Centenary of a Centenary. A Prelude to the Great War, which deals with the centenary celebrations of the Battle of Leipzig/Battle of the Nations in 1913, hence the title. After the photo album, Elizabeth Jane Timms follows up with the article Schomberg House and Pall Mall 78. The London Homes of the Schleswig-Holsteins, which tells me what I should look up to photograph next time I am in London. Another regular contributor to the Royalty Digest Quarterly, Corynne Hall, has this time written about Priscilla"Pip" Scott-Ellis and her relationship with Don Ataúlfo, son of Infante Alonso of Spain and Infanta Beatrix, née Princess of Great Britain and Ireland, in the article Pip and the Prince, based among others on Pip's diary. Michael L. Nash then returns with the article Princess of the Asturias, which is about King Alfonso XII of Spain's elder daughter Infanta Maria de las Mercedes (1880-1904). Princess Elisabeth-Caroline of Solms-Braunfels, née Princess of Lippe, died on 18 May this year, 97 years old. He obituary is written by Bearn Bilker, who is a friend of Princess Elisabeth-Caroline's daughter, Maria-Angela. And finally, as usual we can find the regular column The World Wide Web of Royalty, this time with news from the royal and princely houses of Erbach-Erbach, United Kingdom, Monaco, the Netherlands and Sweden. On the same page we can also read a presentation of the book Das Fürstliche Haus Hohenzollern. Private Einblicke in die Fotoalben by Karen Kuehl and Anette Hähnel (2011). A. The civil wedding took place in Königstein im Taunus, Germany, between Prince Felix of Luxembourg, second son of Grand Duke Henri and Grand Duchess Maria Teresa, née Mestre, and Claire Lademacher, only daughter and second child of Hartmut and Gabriele Lademacher, on Tuesday 17 September 2013. The religious wedding took place in La basilique de Sainte Marie-Madeleine in Saint-Maximin-la-Sainte-Baume, France on Saturday 21 September 2013. A biography of the bride can be read here. For further information about the wedding celebrations, photos etc., go to the official website and the blog Luxarazzi. Prince Felix and Princess Claire's engagement was announced on 13 December 2012. B. Count Edward Bernadotte af Wisborg and Countess Nathalie Bernadotte af Wisborg, née Frediani, became parents to a son, Leonardo Folke Bernadotte, on 15 September 2013, cf. the birth announcement in The Telegraph and Svenska Dagbladet 22 September 2013. The baby boy was born in London. Edward is the second son of Count Bertil Bernadotte af Wisborg and Countess Jill Bernadotte af Wisborg, née Rhodes-Maddox. 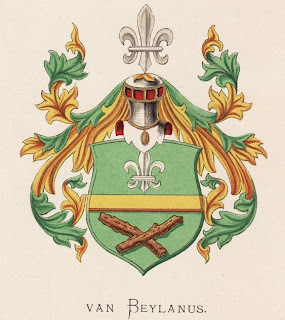 Count Bertil is the youngest son of the late Count Folke Bernadotte af Wisborg (1895-1948) and Countess Estelle Bernadotte af Wisborg, née Manville. Last weekend I visited Amsterdam, which is a wonderful city one could return to over and over again. This was my second visit, the first took place as far back as in 1989. I took some photos of the canals, but that is not very original to post in a blog article, so I thought I should do something different this time. 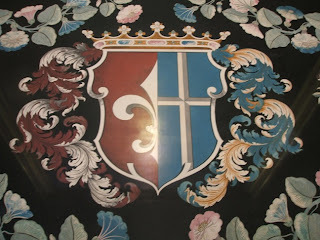 While I am far from an expert on the field of heraldry, I have always been interested in the topic, and when traveling I often take photos of coats of arms in various shapes when I come over them. So I thought I should show some of the photos I took during my visit. 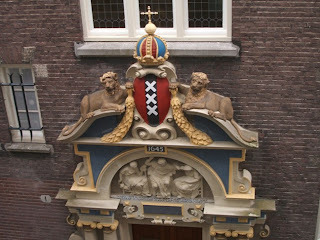 During a boat trip on the canals I noticed many coats of arms on different buildings, but they were too distant to photograph, and I didn't have the time or energy to follow the canal route on foot later on. 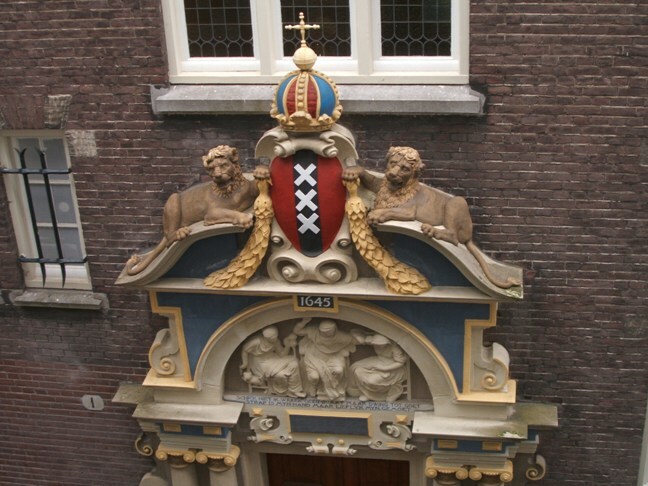 As I have already said, I have to visit Amsterdam again another time, so maybe there will be more heraldry from the Dutch capital in my blog later on? 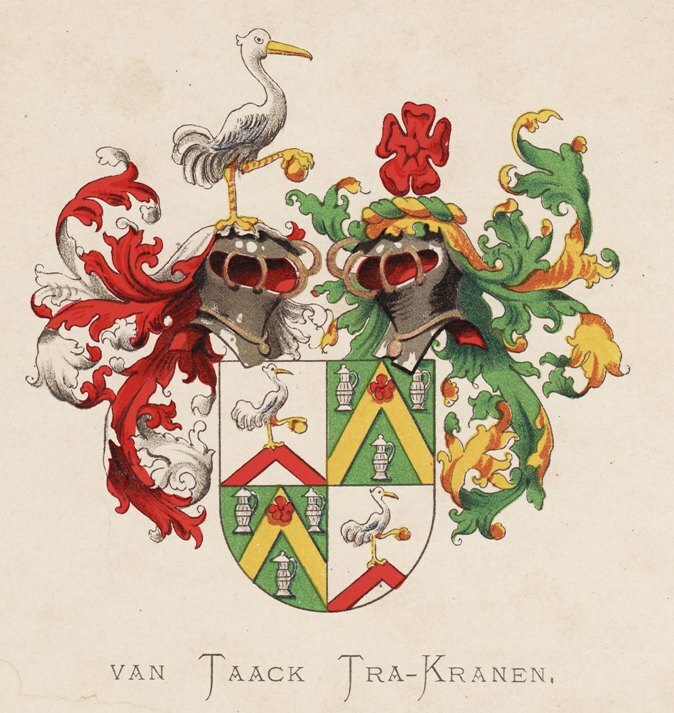 In addition to the arms on different buildings in Amsterdam, I also came over a box of cards with coats of arms in antiquarian shop, the Antiquariaat A. Kok & Zn. in Oude Hoogstraat. The families in question are not necessarily from Amsterdam - some of them might not be Dutch for all I know - but I found the cards there! I plan to publish more heraldry blog articles in the future, hence "Heraldry, Part I" in parenthesis. 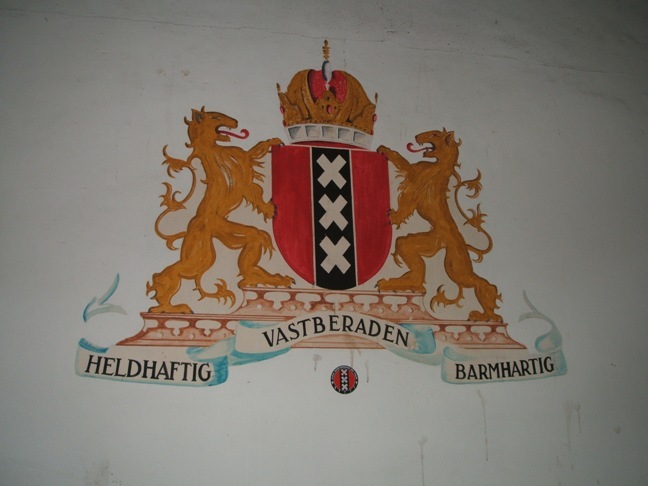 Arms of Amsterdam. The photo is taken from my hotel room (Radisson Blu). The street where the arms can be viewed was not Rusland, though, but a side street. Also the arms of Amsterdam. Found at the Central Station. 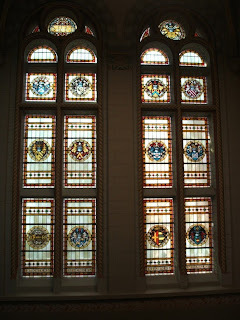 I visited the Rijksmuseum during my stay in Amsterdam. I don't have more details on this one, though. 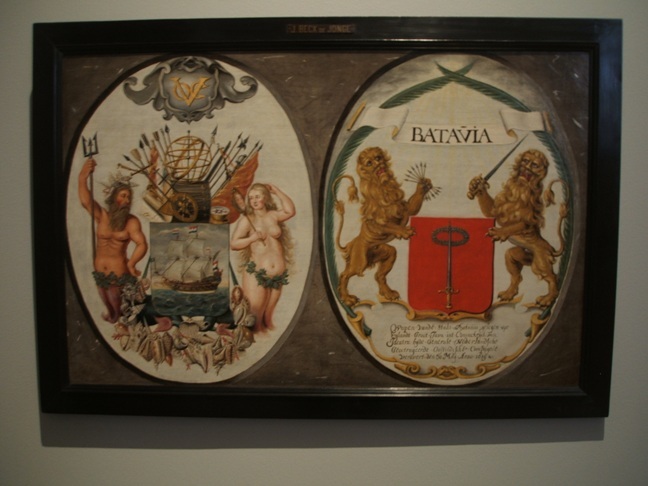 The arms of the Dutch East India Company and of the Town of Batavia (Jeronimus Becx) in the Rijksmuseum. 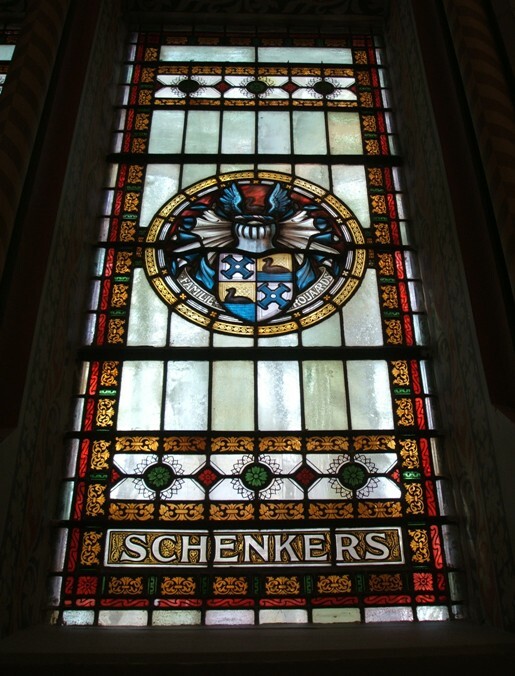 Stained glass with heraldry in the Rijksmuseum. The Swedish weekly magasine Svensk Damtidning this week (no. 38/2013) - printed edition only - provided some rather interesting information concerning Princess Madeleine's future child, and it is a bit strange that the royalty discusions forums haven't picked up on it yet. In the said issue on page 3 the Swedish Royal Court's solicitor, Axel Calissendorff, says that Princess Madeleine and Chris O'Neill's child will, contrary to what I had expected, become a Prince or a Princess. The solicitor adds that as the princess is still a royal highness, the child will also be born as a royal highness and enter the line of succession as no. 5, referring to the Act of Succession's Article 1. He then goes on to mention that in order to inherit the throne, it is among others required that one is Lutheran, is brought up within the realm and doesn't marry without the government's consent. Art. 4. In accordance with the express provision of Article 2 of the Instrument of Government of 1809 that The King shall always profess the pure evangelical faith, as adopted and explained in the unaltered Confession of Augsburg and in the Resolution of the Uppsala Meeting of the year 1593, princes and princesses of the Royal House shall be brought up in that same faith and within the Realm. Any member of the Royal Family not professing this faith shall be excluded from all rights of succession. As I have already commented on, the article is very clear on the consequences for not professing "the pure evangelical faith", but doesn't say anything about what will happen if one is brought up outside the realm, as also the preparatory works to the changes to the succession law in 1979 (Prop. 1977/78 no. 71) says. The Solicitor Royal is obviously of the opinion that being brought up outside the realm will also have consequences for his or her succession rights. This is not an unreasonable interpretation, but still rather problematic. As it seems now Princess Madeleine and Chris O'Neill plan to live in the USA, but doesn't rule out the possibility of settling in Sweden some time in the future. How long can they remain abroad before it becomes problematic constitutionally speaking for Prince or Princess X? It is a pity that Riksdagen didn't do anything about the article back in the late 1970s, but the politicians decided to focus on the articles relevant for adopting full cognatic succession and nothing else. The reason for requiring the princes and princesses to be brought up within the realm is obviously that they should be familiar with the Swedish society in case they inherit the throne. It sill most likely turn out to be an academic question only, as Crown Princess Victoria's line is to inherit the throne and she will hopefully have more children in order to secure the succession. So as of now we know that the future child, expected in early March 2014, will be titled Prince or Princess of Sweden. 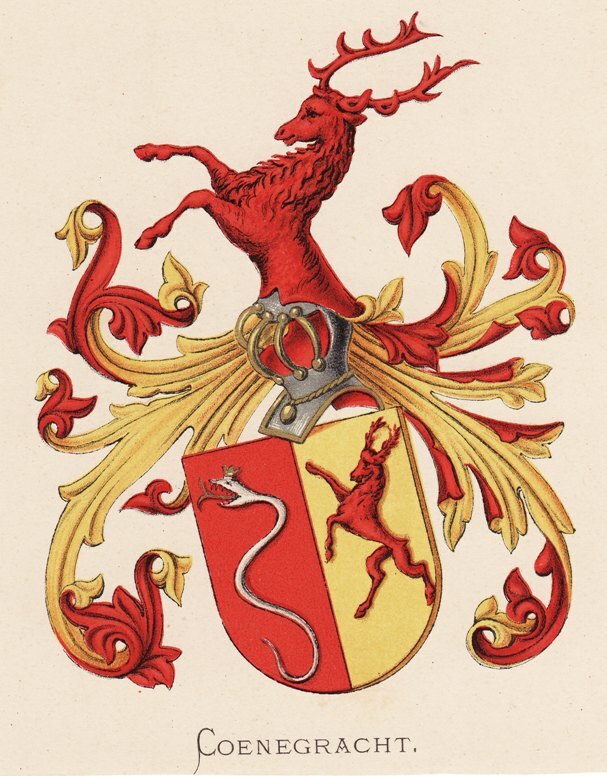 The solicitor didn't say anything about a royal dukedom, but I find it natural that the child will get a ducal title as well, as traditionally it has been linked to those with sucession rights since the Constitution of 1772. We can also expect the child to have a Lutheran christening. We can also expect that Prince Carl Philip's future children, if he ever marries, will be titled as well. But it is still to early to say if we can see a pattern here. Will royal titles for the monarch's grandchildren also be "the rule" also in future generations? The Solicitor Royal even claims children of royal highnesses automatically will become royal highnesses themselves, but this would mean that we could get an endless number of princes and princesses in the future. It has to be restricted somehow. Personally I would have found it more sensible if only Crown Princess Victoria's children were titled and that the titles will be restricted for those expected to be "working royals". Now as the king thinks differently, I can only hope that he (or his successor) will draw the line for the next generation so that Prince Carl Philip's and Princess Madeleine's grandchildren are not titled. Well, time will show! Updated on Tuesday 9 October 2018 at 14:10 (minor language errors corrected). We didn't have to wait long for the announcement of the nomination of Barry B. White's successor as US Ambassador to Norway. The day after I wrote that Ambassador White was to leave for the States within the month, the White House named George James Tsunis of New York to the post as Ambassador Extraordinary and Plenipotentiary of the USA to the Kingdom of Norway. The American embassy in Oslo tells that the US Senate is to schedule a hearing of George Tsunis, before continuing the confirmation proceedings. George Tsunis is the Founder, Chairman and Chief Executive Officer of Chartwell Hotels, which owns, develops and manages Hilton, Marriott and Intercontinental hotels throughout the Northwest and Middle Atlantic states. He is also in charge of George Tsunis Real Estate, Inc., and used to be a partner in the law firm Rivkin Radler. According to Newsday.com, Mr. Tsunis, 45 years old, of Cold Spring Harbor, Long Island, New York, is a businessman who left the Republican party to become a major democratic fundraiser in the 2012 election. Jon Cooper, a former Suffolk County (Long Island) legislator, has said he was impressed with Tsunis' knowledge and expertise of foreign policy issues, while John Jay LaValle, the Suffolk Republican Chairman, has commented that Tsunis "[...] played his cards properly and is a well-liked guy." In my blog article 3 days ago, I expressed my hope for a Norwegian-American Ambassador, but got a Greek-American instead! Nothing wrong with that, of course. His business background and short career as a Democrat supporter means that the Norwegian-Americans will have to contribute more in future elections to be considered for the post in Oslo! At least Tsunis has a small connection to Norway through his work at Chartwell Hotels, which among others manages the Hilton Hotels. The founder of the original Hilton Hotels company was the Norwegian-American Conrad Hilton (1887-1979), whose father Augustus Halvorsen Hilton came from the farm Hilton Søndre (Southern Hilton) in Kløfta, Norway. I only hope that Mr. Tsunis will make most of his stay in Norway and that he will travel as much around the country as Ambassador White has and will learn to know the country well. New age record at the Royal Palace in Oslo? On Friday 13 September 2013 King Harald V will grant the 106 years old Carl Falck, who is Norway's oldest man, an audience at the Royal Palace. He is most likely the oldest person who has ever been granted an audience at the Palace. If anyone knows about any older, I would love to hear about it! The king and the members of the royal family, not to mention the deceased members of the present dynasty, have surely met older persons before, but only at nursing homes and other places, not at the Palace. This is of course not something I am keeping a record of, but I can well remember that Princess Märtha Louise met the then 107 years old Borghild Marie Nilsen at a local nursing home in connection with the celebrations of Tjølling Church' 850th anniversary in 2000. Borghild Nilsen died in 2004, 110 years old. You can read and/or watch interviews with Carl Falck at TB.no (14 June 2012), Dagbladet.no (24 August 2012), Dagsavisen.no (10 january 2013), Aftenposten.no (13 April 2013) and NRK.no (13 June 2013). Carl Falck is today Norway's oldest man, while Elisabet Julie Ekenæs, b. 26 December 1904, is the oldest woman. Postscript 13 September 2013 at 20:40: See the photo of Carl Falck taken outside the Royal Palace today at the Royal Court's official Facebook page. Updated on Friday 13 September 2013 at 20:40 (postscript added), last time on Wednesday 31 May 2017 at 00.37 (link corrected). King Harald of Norway will grant the US Ambassador to Norway, Barry B. White, a farewell audience on Monday 16 September 2013, the list of official engagements at the Royal Court's website reveals. Mr. White is to leave his post within a month, the US Embassy in Oslo has informed me via its Twitter account. No successor has yet been named. The normal procedure is that the Deputy Chief of Mission, will be in charge until the new ambassador is in place. The person who holds the position at the moment is Julie Furuta-Toy. Ambassador White was confirmed by the US Senate on 22 September and sworn in on 21 October 2009, before being formally accredited Ambassador to Norway in November 2009. He has travelled a lot in Norway during his years here and seems to have been well received everywhere. I had a short chat with him at the election gala at the Grand Hotel in Oslo last year. Of course at that time he had no idea what the future had in store for him. It will be exciting to see who President Obama will nominate. I think it would be rather nice to have a Norwegian-American Ambassador, at least because it would give me an opportunity to trace his or her roots! Prince Muhammad Ali of Egypt married Princess Noal Zaher Shah of Afghanistan at the Çirağan Palace in Istanbul, Turkey on Friday 30 August 2013. Prince Muhammad Ali, b. 1979, is the son of the former King Fuad II of Egypt and his former wife Fadila, née Dominique-France Loeb, while Princess Noal, b. 1978, is the only daughter of Prince Muhammad Daud Pashtunyar Khan of Afghanistan and his wife, Princess Fatima Begum. The bride's father is the fifth son of the late and last king of Afghanistan, Muhammad Zahir Shah (1914-1933-1973-2007). For photos, go here and here (the latter is King Fuad II's official Facebook page). Andrea Casiraghi and Tatiana Santo Domingo Rechulski were married at the Princely Palace, Monaco on 31 August 2013. Andrea, b. 1984, is the eldest son of HRH The Princess of Hannover (Princess Caroline of Monaco) and the late Stefano Casiraghi, while Tatiana, b. 1983, is the daughter of Julio Mario Santo Domingo and Vera Rechulski from Colombia and Brazil respectively. Andrea and Tatiana became parents to Sacha Casiraghi on 21 March 2013 in London. 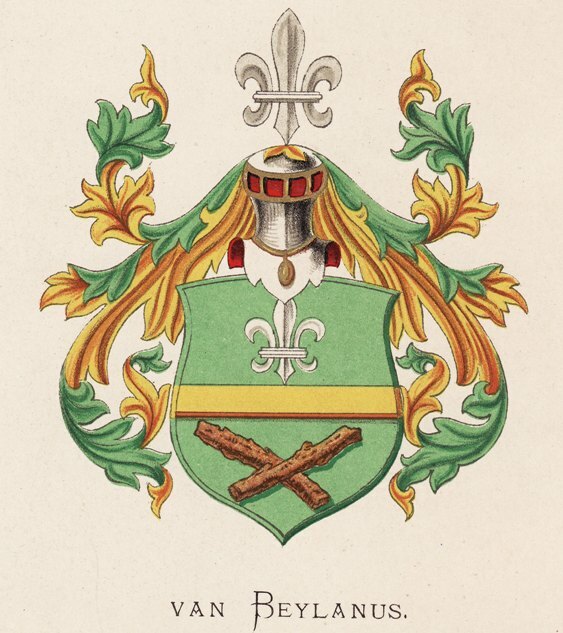 Upon marriage Sacha entered the line of succession to the Monegasque throne due to the rather liberal succession law. See Huffington Post and the Telegraph for photos and more information. Gustaf Magnuson and Vicky Andrén were married at Ulriksdal Palace Chapel on 31 August 2013. Gustaf, b. 1975, whose full name is Carl Gustaf Victor Magnuson, is the eldest son of Princess Christina of Sweden and Tord Magnuson and thus a nephew of King Carl XVI Gustaf. Vicky Elisabeth Andrén, whose parents are Elisabeth Malm and Kenneth Andrén, is born in 1983. Among the many guests were King Carl Gustaf, Queen Silvia, Crown Princess Victoria, Prince Daniel, Prince Carl Philip, his girlfriend Sofia Hellqvist as well as Queen Sonja of Norway, who is one of Gustaf's sponsors. See photos at Expressen and Svensk Damtidning. The Royal Court of Sweden announced on 3 September 2013 that Princess Madeleine and her husband Chris O'Neill are expecting their first child in early March 2014: "Princess Madeleine and Mr. Christopher O'Neill are delighted to announce that The Princess is expecting their first child. The birth is expected to take place in beginning of March of 2014. No changes to the schedule of The Princess's engagements and work for Childhood are planned during the fall of 2013." (See also Expressen.se.) Princess Madeleine and Chris O'Neill were married at Stockholm Palacce Church on 8 June 2013. As of now the couple lives in New York City, and as far as I know the court has not revealed if the couple plans to move to Sweden before the birth. This could be interesting constitutionally speaking, as the Swedish Act of Succession Article 4 says among others that "princes and princesses of the Royal House shall be brought up [...] within the Realm". However, the poorly formulated article doesn't say anything about what consequence it would have if a prince or princess is brought up outside the realm. Then again, one might ask if the text should be taken literally. Will non-titled children be affected? Personally I would be surprised if the future child becomes a Prince of Princess, but surely we will get more information from the court on this in due time. The preparatory works to the changes to the succession law in 1979 (Prop. 1977/78 no. 71) mentions the possibility of conditional consent to marriage, but I haven't heard anything about such a clause in the marital agreement. The funeral service for the actor, comedian and TV program host Rolv Helge Wesenlund, who died on 18 August 2013, 76 years old, took place at Frogner Church in Oslo today. Crown Prince Haakon as well as Prime Minister Jens Stoltenberg attended the service. Photos from the service can be viewed on VG.no. 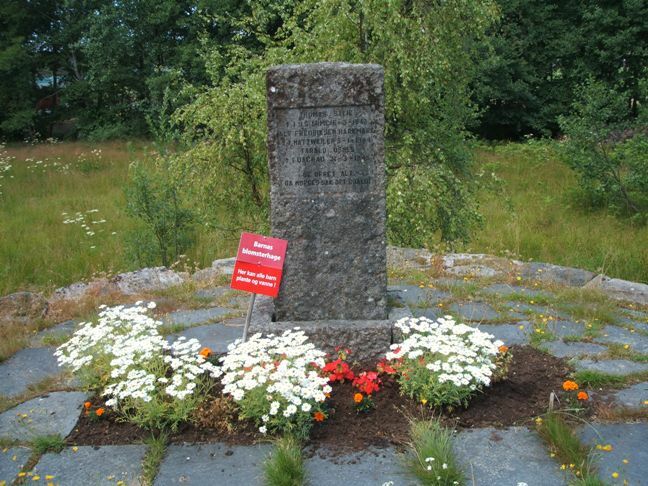 Wesenlund was born in Horten, Vestfold county, and the urn will be interred there after the cremation. 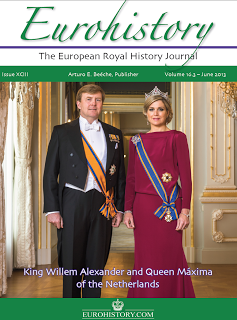 The latest issue of Eurohistory - The European Royal History Journal (Vol. 16.3, June 2013) arrived in my mail box yesterday. So far I haven't read more than about 1/5 of the magazine, so this article should be regarded as a presentation of the issue and rather than a review. The front page shows an official portrait taken of the new King and Queen of the Netherlands in connection with King Willem-Alexander's accession on 30 April this year. Nearly four months has passed since then, so I wonder if it would be better to restrict the magazine more to history articles rather than articles on (more or less) contempary events and then leave the news stories to the magazine's blog and Facebook page. But on the other hand, Arnout van Cruyningen in his article Continuity and Rejuvenation, Tradition and Modernity: The Accession of King Willem-Alexander of the Netherlands provides an excellent record of all the major events on the accession day, including the speeches given by Queen Beatrix (29 April), King Willem-Alexander and the chairman of the national assembly as well as the abdication document itself. In the Royal Books Reviews section Coryne Hall covers Eurohistory's recent publication Russia and Europe. Dynastic Ties by Galina Korneva & Tatiana Cheboksarova. The book is published in association with Liki Rossii, St. Petersburg, has 318 pages and includes over 600 illustrations. The new edition has been expanded and edited by Arturo E. Beéche. According to the reviewer the main focus of the new edition is the 100 extra photos. A description of the original edition can be found at the Royal Russia website. I enjoyed reading Coryne Hall's article about Prince Vsevelod Ioannovich of Russia (part 1) in the second issue of vol. 16, and hopefully the second part of the article will be just as good. Another returning contributor is Ilana D. Miller, who this time has delivered the article Who's in the Picture. The Baptism of Norton Knatchbull 18 November 1947. Norton Knatchbull, the 8th Baron Brabourne and the 17th Baronet, is the eldest child of Lady Patricia Mountbatten, 2nd Countess Mountbatten of Burma and John Knatchbull, 7th Baron Brabourne. The Countess Mountbatten of Burma was the eldest daughter of the Earl Mountbatten of Burma, born Prince Louis of Battenberg. 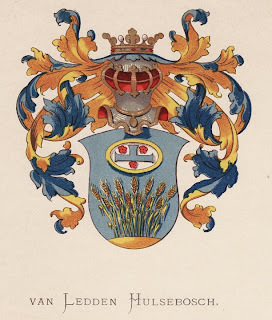 I touched upon the subject of "old news stories" above, but obituaries are in my opinion more timeless, and the present issue offers obituaries of Landgrave Moritz of Hesse (1926-2013) (by Marlene Eilers-Koenig), Princess Benita of Schaumburg-Lippe (1927-2013), née Baroness Eva-Benita von Tiele-Winkler, and Princess Editha of Bavaria (1924-2013), the oldest surviving daughter of Crown Prince Rupprecht and Crown Princess Antonia, the latter two written by the publisher, Arturo E. Beéche. Finally we get royal news from Bavaria, Brazil, Denmark, Hesse, Saxe-Coburg and Gotha, Schaumburg-Lippe, Serbia, Sweden, Hohenlohe-Bartenstein, Salm-Reifferscheidt-Krautheim and Dyck (!) 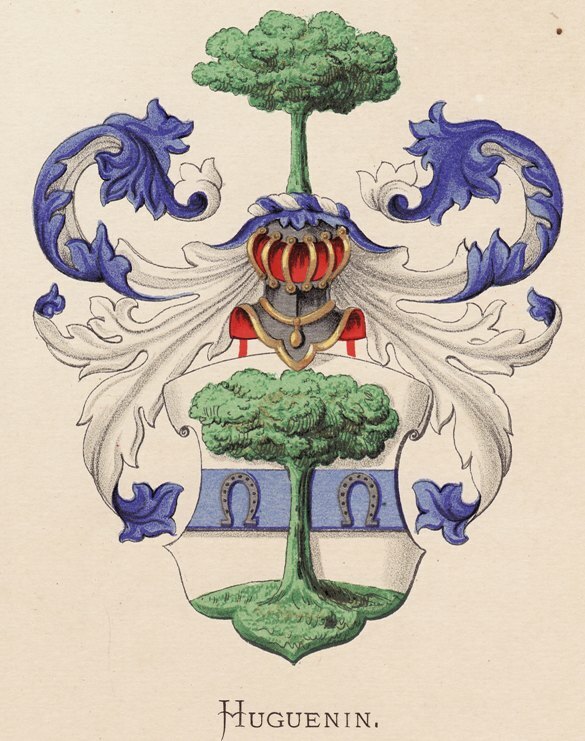 and Solms-Braunfels. The publisher of The Europan Royal History Royal can be reached at erhj [at] eurohistory.com. For earlier articles on the magazine, go here. I often walk through Sandefjord Cemetery when I return to my parents' home after a trip to "downtown" Sandefjord. 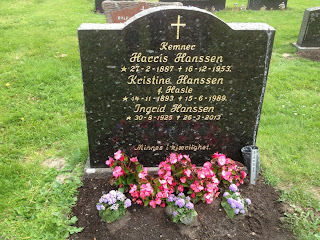 During one of my walks in mid July this year, I discovered the grave of my great-aunt Ingrid Hanssen, née Hoelseth, who died in March 2013. I was not able to attend her funeral and had no idea where she had been interred. Aunt Ingrid, who was the last sibling of my grandfather Arne Hoelseth to pass away, is buried together with her parents-in-law, chief cashier Harris Hanssen and Kristine Hanssen, née Hasle. The latter's parents, Anders B. Hasle and Klara Hasle, née Christensen, are also buried at Sandefjord cemetery, but at the other side of the chapel. 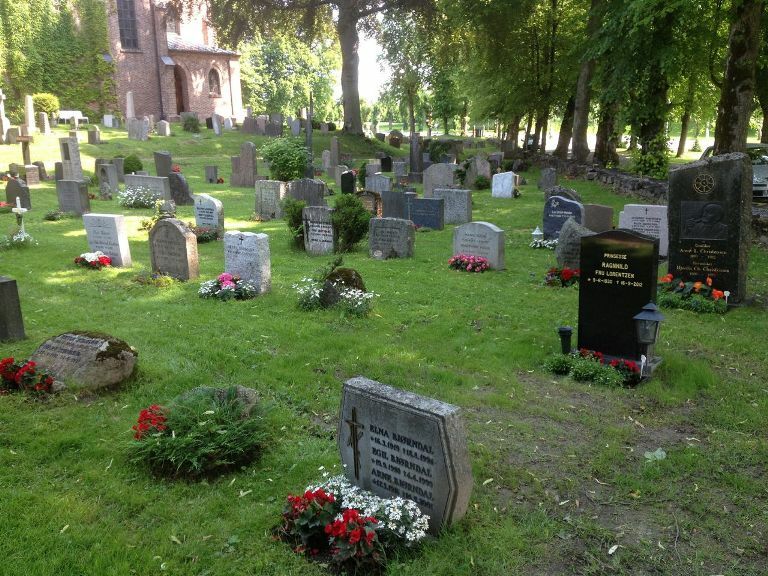 For a photo of their grave, go here (photo no. 11 from the top). Klara, who was listed as Clara in the church book (no. 117), was the daughter of shipmaster Christen Christensen and Oline Christensen, née Olsdatter (not the same Christensen family as mentioned in my Sandar Church and Cemetery article, though). Grave of my great-uncle Jakob Trygsland (1910-2001) and his wife Martha Trygsland, née Eikså (1912-2010). 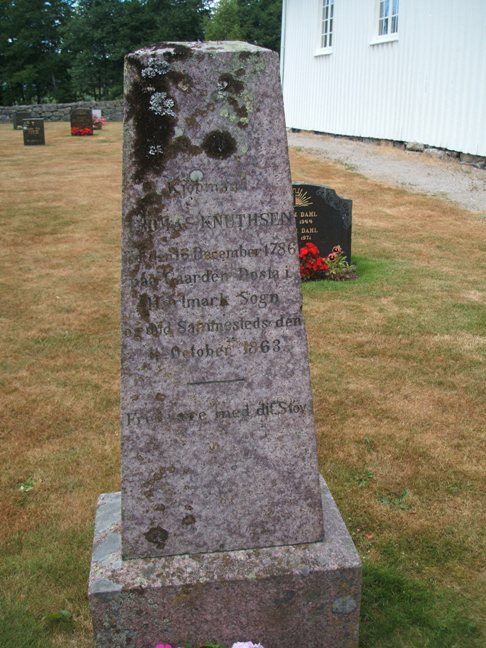 One of the oldest graves at the cemetery - shopkeeper Thomas Knuthsen, who was born at the farm Dosta in Harkmark 16 December 1786 and died the same place on 11 October 1863. 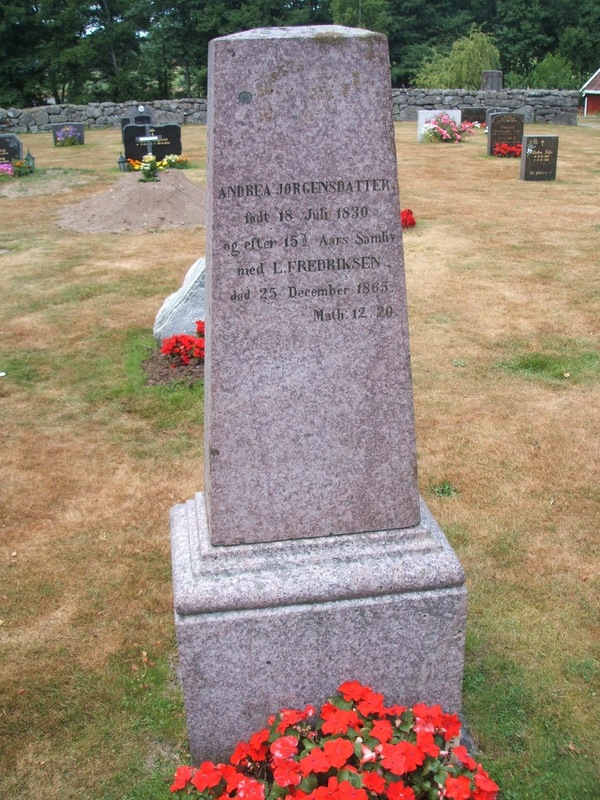 Grave of Andrea Jørgensdatter, b. 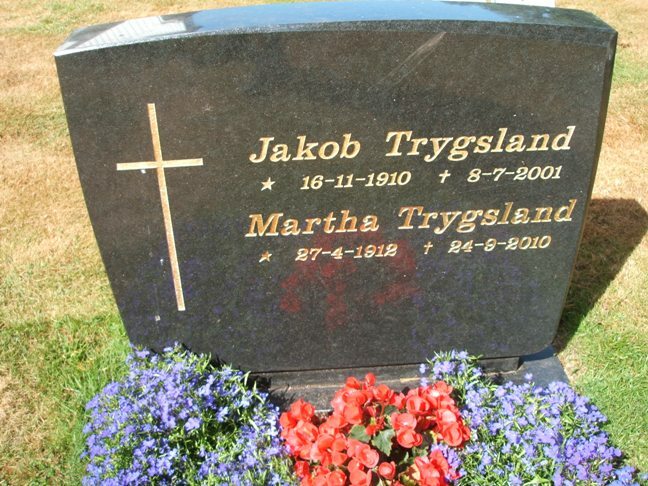 18 July 1830, who after 15 1/2 years of marriage to L. Fredriksen, died on 25 December 1865. The war memorial outside the cemetery walls. 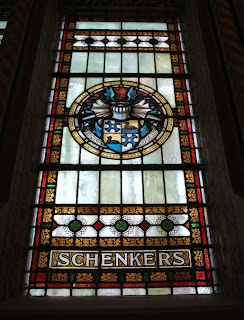 Engraved are the names of Thomas Skeie (d. 6 March 1943, he was in the US Army), Alf Fredriksen Harkmark (died in the concentration camp of Natzweiler(-Struthof) 5 January 1944) and Tarald Osnes (died in Dachau 31 March 1945). The red sign, if anyone wonders, says "The children's flower garden. Here all children can plant and water [the flowers]." It seems to be a project for local pupils. I have seen similar signs at other cemeteries. Harkmark Church in Mandal in the county of Vest-Agder, Norway, celebrates its 400th anniversary this year. I have visited the cemetery on several occasions, but this was the first time since my great-aunt died. The church, which has 135 seats, is protected by law. A book about the church in connection with the anniversary will be published later this year. For photos of the church inside, go to the official website of Mandal parish. 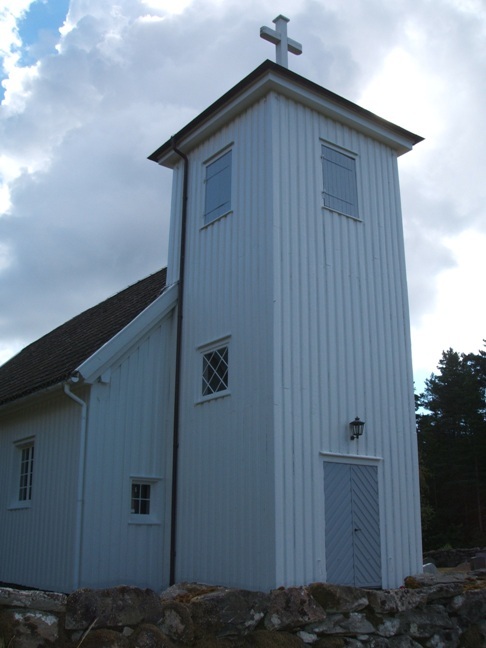 The anniversary service will take place on 22 September 2013, to be conducted by the bishop of Agder and Telemark, Stein Reinertsen. Crown Princess Mette-Marit of Norway celebrates her 40th birthday tomorrow, 19 August 2013. Her anniversary was marked today with an outdoor church service in Dronningparken ("The Queen's Park"), which is a part of the Palace Park in Oslo. In attendance were among others King Harald, Queen Sonja, Crown Prince Haakon, Crown Princess Mette-Marit, Princess Ingrid Alexandra, Prince Sverre Magnus, Marius Borg Høiby, Princess Märtha Louise, Ari Behn, Maud Angelica Behn, Leah Isadora Behn, Emma Tallulah Behn and even the Crown Princely dog, Milly Kakao as well as one of her puppies born earlier this year. Other family members and representatives of various organisations the Crown Princess is involved in were also present. Bishop emeritus Gunnar Stålsett conducted the service. Ever since 2001, the year the then Mette-Marit Tjessem Høiby married Crown Prince Haakon, she has marked her birthday by inviting family and friends to a church service in the Palace Chapel, but this year the service was moved outdoors. See more details as well as photos at VG.no and VL.no. Crown Princess Mette-Marit's birthday tomorrow will be celebrated privately. It is not often you hear about Princess Irina of Romania, the third daughter of the former King Michael of Romania. But this morning I woke up to the news that she and her husband, John Wesley Walker, had been arrested in her home state of Oregon, USA, accused of having staged cockfighting derbies! His Majesty King Michael I has noted with deep sorrow the events related to Princess Irina of Romania, his daughter. His Majesty and the Royal Family as a whole hope that the justice system of the US and the courts of the Oregon state will offer an as equitable and rapid solution as would be possible in this case. His Majesty also hopes that the presumption of innocence to function, as is normal legally and morally, from the onset to the end of this unfortunate event. The translation has kindly been provided by Valentin Mandache. His wife Diana has used the same translation at her blog. Diana Mandache has also provided comments made by Princess Irina's daughter Angelica Kreuger in her blog, which is worth reading. Princess Irina, who was born at Lausanne, Switzerland on 28 February 1953, is the third daughter of the former King Michael (Mihai) of Romania and his wife Anne, née Princess of Bourbon-Parma. She married John Kreuger in 1983 and had two children by him, Michael, b. 1985, and the aforementioned Angelica, b. 1986. After their divorce, Irina married John Wesley Walker in 2007. Updated on 17 August 2013 at 01:10 (original link to Oregonlive.com replaced with Usatoday.com, as the former seemws to have a virus of some sort, as confirmed by McAfee). Margaret Hoover and John Avlon have become parents to a boy, Jack Avlon, as announced by John Avion's Twitter account on 15 August 2013. Margaret Hoover, a great-grandchild of President Herbert Hoover (1929-1933), is a political commentator, former Capitol Hill staffer and Associate Director of Intergovernmental Affairs in the administration of President George W. Bush (2001-2009) as well as the author of the book American Individualism: How A New Generation of Conservatives Can Save the Republican Party (2011), which I have mentioned in an earlier blog article. Margaret's husband John is a journalist and among others a contributor to the CNN. They were married at Stanford Memorial Church in Palo Alto, California, USA, on 7 November 2009. I have mentioned earlier in this blog that I am very much interested in US presidential history and also genealogy. The Hoover family is one of the presidential families I am keeping a file on, so the news of the Avlon-Hoover birth was higly welcomed in this regard! Postcript 29 August 2013: The baby, which was born at the Lenox Hill Hospital in New York on 14 August 2013, is named John Andrew Hoover "Jack" Avlon, cf. West Branch Times Online 23 August 2013. Updated on 29 August 2013 at 23:55 (postscript added), last time on 30 August 2013 at 09:30 (typo corrected). Lord Frederick Windsor and his wife Sophie have become parents to a daughter, Maud Elizabeth Daphne Marina Windsor, who was born at the Ronald Reagan UCLA Medical Centre in Los Angeles, USA on Thursday 15 August 2013. Lord Frederick Windsor, a second cousin to the Prince of Wales, is the oldest child and only son of Prince Michael and Princess Michael of Kent. He married the actress Sophie Winkleman in 2009. According to the Telegraph, the young Miss Maud is no. 42 in the line of succession to the British throne. The Dutch Government Information Service (RVD) on behalf of the Royal Family announced yesterday that the funeral service for Prince Friso of Orange-Nassau will take place in the afternoon of Friday 16 August 2013 in the Stulpkerk in Lage Vuursche in the municipality of Baarn (province of Utrecht). The service will be officiated by Reverend Carel A. ter Linden. After the funeral the prince will be interred in the adjacent cemetery. A memorial service will take place later in the year. Prince Friso and his brothers grew up at the Drakestein Castle (Kasteel Drakensteyn) closeby, and as Princess Beatrix is to take up permanent residence at the castle later this year, it means she will be able to visit her son's grave regularly, as the cemetery is only a short walk from the castle. In fact, as commented by Berno at the Benelux Royals Message Board yesterday, the then Queen Beatrix donated in 2008 400 square meters of land to the church as there was no more space for new graves. After the announcement of Prince Friso's death, the Dutch media seemed to be certain that the prince was to be interred in the royal crypt at Delft. Personally I think it is a good idea "to bring Prince Friso home" to the place where he grew up. It is also nice that he will be buried in a public cemetery. The Norwegian Royal Court confirmed today that King Harald is to attend the funeral service on Friday. The king was one of Prince Friso's sponsors (godparents) and was also present at Friso and Mabel's wedding in 2004 together with Queen Sonja. According to the official program of the Norwegian Royal Court, the service will start at 3 p.m.
His Majesty the King announces with deep regret that His Royal Highness Prince Johan Friso Bernhard Christiaan David, Prins van Oranje-Nassau, Jonkheer van Amsberg passed away this morning at Palace Huis ten Bosch in the Hague at age 44. Prince Friso has died of complications related to the hypoxic brain injury, which he suffered as the result of his skiing accident in Lech, Austria on 17 February 2012. Following initial treatment at the Intensive Care Unit of the Innsbruck University Hospital, Prince Friso was transferred in early March 2012 to the Wellington hospital in London, his place of residence. In November 2012, Prince Friso begun showing signs of limited awareness ('minimal consciousness') and remained in that state since then. In early July 2013, he was transferred to Palace Huis ten Bosch in The Hague, the Netherlands. The Royal family wholeheartedly thanks all persons who have looked after Prince Friso for their excellent and devoted care. Prince Johan Friso, who preferred to be called just Prince Friso,* was the second son of Princess Beatrix of the Netherlands, who reigned from 1980 to 2013, and Prince Claus (1926-2002), b. von Amsberg. Prince Friso lost his title Prince of the Netherlands and his rights of succession to the Dutch throne when he in 2004 married Mabel Wisse Smit without consent of the Dutch parliament. The government had refused to forward a marriage bill to the parliament after it was disclosed that the then Ms. Smit had not told the truth about her former relationship to a "drugs baron". According to the official website Prince Friso studied mechanical engineering at the College of Engineering of the University of California at Berkeley, USA and later also aerospace engineering at the Delft University of Technology, graduating in 1994. From 1990 onwards, the Prince also studied economics at the Erasmus University in Rotterdam, graduating in 1995. In 1997, he studied and received an MBA at the European Institute of Business Administration (INSEAD) in Fontainebleau, France. At the time of the skiing accident in Austria, he was a Chief Financial Officer (CFO) of URENCO in Stoke Poges, England. Prince Friso leaves behind his wife as well as two daughters, Luana (b. 2005) and Zaria (b. 2006). King Willem-Alexander and his family returned from their vacation in Greece today. Information on Prince Friso's funeral service will be disclosed later. Prince Friso's obituary published by Telegraph.co.uk can be read here. Last time updated on Wednesday 14 August 2013 at 20:20 (postscript added). The baby will be known as His Royal Highness Prince George of Cambridge. The prince is of course titled Prince of the United Kingdom of Great Britain and Northern Ireland, but is styled Prince George of Cambridge. The call name George was also what I suggested in my blog article of 3 July 2013, but so did many others as well. I missed out on Alexander and Louis, though, and Prince George "only" got three names and not four, as most people "in the know" expected. The number of names is something the little prince shares with his great-grandmother Queen Elizabeth II, whose full name is Elizabeth Alexandra Mary. I have too little time right now to comment too much on the names, but just want to say how happy I am that the Duke and Duchess of Cambridge have chosen such traditional royal names, and that the announcement came so soon and before I have to take a break from my blogging due to my vacation! I finally got the time to update my Longest reigns (current monarchs) website tonight, following the abdication of King Albert II and the swearing in of King Philippe of the Belgians two days ago. The change of king only meant that the Belgian king was moved from place no. 12 to 30, while the king of Lesotho and the monarchs in the line behind him was moved one step up. King Bhumibol of Thailand tops the list, as he succeeded to the throne already in 1946. He is not the oldest monarch of the world, however, as King Abdullah of Saudi Arabia, b. 1923 or 1924, holds that position. The youngest monarch, as mentioned last time the Longest reigns website was updated, is the Emir of Qatar, Sheik Tamim, b. 3 July 1980. Her Royal Highness The Duchess of Cambridge was safely delivered of a son at 4.24pm. The medical staff present were Mr Marcus Setchell, Surgeon-Gynaecologist, Mr Guy Thorpe-Beeston, Obstetrician and Dr Sunit Godambe, Consultant Neonatologist at St. Mary’s Hospital. The names of the baby will be announced in due course. The baby is third in the line of succession after His Royal Highness The Prince of Wales and His Royal Highness The Duke of Cambridge. He is styled His Royal Highness Prince [name] of Cambridge. A formal notice of the birth will be posted on the forecourt of Buckingham Palace. 8lb 6oz corresponds roughly to 3798 grams. The Twitter account of Clarence House has been rather busy tonight. At 9.37 pm (8.37 local time, I think) it was tweeted that "The Queen, The Duke of Edinburgh, The Prince of Wales, The Duchess of Cornwall, Prince Harry & families have been told and are delighted." The official announcement outside Buckingham Palace can be viewed here. Both my wife and I are overjoyed at the arrival of my first grandchild. It is an incredibly special moment for William and Catherine and we are so thrilled for them on the birth of their baby boy. Grandparenthood is a unique moment in anyone’s life, as countless kind people have told me in recent months, so I am enormously proud and happy to be a grandfather for the first time and we are eagerly looking forward to seeing the baby in the near future. For more details, go to BBC News. Now we just have to wait for the announcement of the names for the newborn prince, who is no. 3 in the line of succession to the British throne. Quite exciting! For my earlier comments on possible names, please go here. According to Budstikka also Princess Märtha Louise and Ari Behn's 3 children were present. The Norwegian TV company NRK broadcast a rather nice interview with Crown Prince Haakon on Saturday evening. Photos from the festival can be viewed on Dagbladet.no and VG.no. Views and News of Norway has published articles about the celebrations on 16 July, 18 July and 19 July 2013 (a bit tabloid in style, if you ask me). Over in Belgium, King Harald V of Norway's first cousin King Albert II held his televised farewell speech on Saturday 20 July (Dutch and French version). 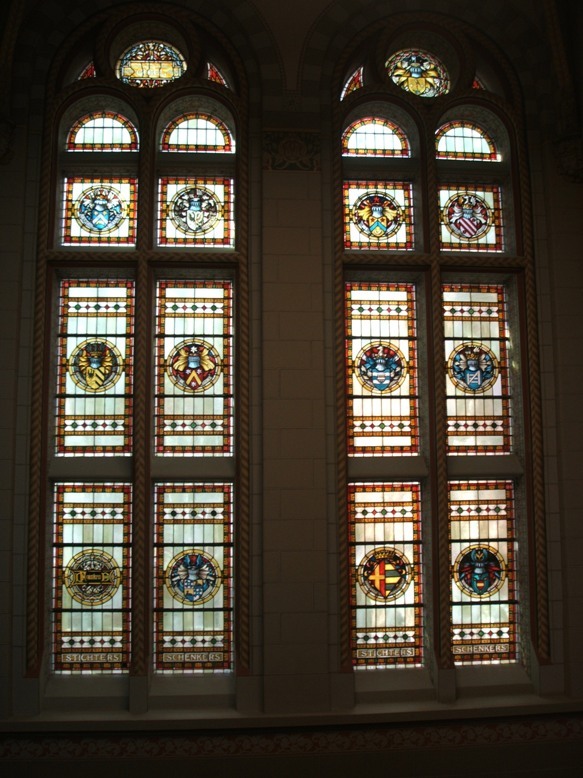 On Sunday 21 July 2013, which is Belgium's national day, a Te Deum was held in the Cathedral of St. Michael and St. Gudula in Brussels at 9 a.m. followed by the abdication ceremony at 10.30 at the Royal Palace. Present were King Albert II, Queen Paola, Prince Philippe, Princess Mathilde, Queen Fabiola, Princess Astrid and Prince Lorenz as well as Prince Laurent and Princess Claire. The act of abdication can be read here. The swearing in ceremony of King Albert II's eldest son Philippe took place before the two chambers of the Parliament at noon. King Philippe held a speech which thankfully has also been translated into English, before the king, Queen Mathilde and their children greeted the people from the balcony of the Royal Palace at 1 p.m. On the balcony were besides the new king and queen also former King Albert and Queen Paola, King Philippe and Queen Mathilde's children Princess Elisabeth, the Duchess of Brabant, Prince Gabriel, Prince Emmanuel and Princess Eléonore as well as Queen Fabiola, Princess Astrid, Prince Lorenz, Prince Laurent and Princess Claire. See photos from today's historic event at Standaard.be. My Longest reigns page will be updated early next week. Postcript 14 August 2013: Side2.no (Nettavisen) yesterday claimed to know that Princess Mabel of Orange-Nassau also attended the celebrations of Crown Prince Haakon at Skaugum last month, although she was not on the guest list released by the royal court. Concerning the photo series linked to above, they reveal that Crown Prince Haakon's first cousin Haakon Lorentzen, son of the late Princess Ragnhild, was also present together with his wife Martha. Updated last time on Wednesday 14 August 2013 at 20:05 (postscript added). Zara Tindall, née Phillips, is the youngest child of HRH The Princess Royal (Princess Anne) and Captain Mark Phillips. She married the rugby player Mike Tindall, son of Phillip Tindall and Linda Tindall, née Shepherd, at Canongate Kirk in Edinburgh on 30 July 2011. The Tindall baby will of course be the fourth great-grandchild of Queen Elizabeth and Prince Philip, Duke of Edinburgh, as the whole Britain, if not the whole world, is eagerly awaiting the birth of the Duke and Duchess of Cambridge's first child. The due date is said to be the firstcoming Saturday, 13 July, but as everyone knows the birth could take place any day now. Those with a Twitter account has surely started to follow the royal baby news via the hashtag #royalbaby. Lots of people also used the same hashtag when the news of Zara Tindall's pregnancy was announced. Personally I would have preferred if #Tindallbaby had been used instead, so that #royalbaby was restricted to the Cambridges. There are too many tweets already! Even if the term "royal" is not legally defined in the UK, I think people are stretching it a bit far when #royalbaby is also used for the Tindall baby. There is after all no royal title at stake here. The future Tindall will, by the way, become no. 16 in the line of succession to the British throne. The statue of Crown Princess Märtha with her son Prince Harald, now King Harald V, on her arm was made by sculptor Dyre Vaa (1903-1980). Princess Märtha of Sweden (and of Norway until 1905) (1901-1954) married the then Crown Prince Olav of Norway (1903-1991) at Our Saviour's Church in Oslo in 1929. 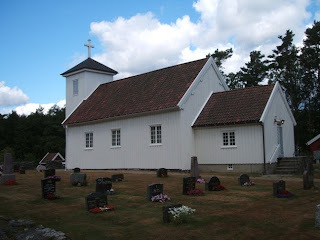 The couple lived at the Skaugum estate in Asker not far from Asker Church. 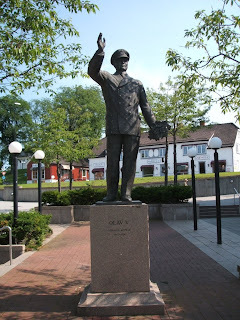 The bronze statue was cast in 1959, but first unveiled by King Olav V on 29 August 1969. The original plan was to place the statue in a park planned to be constructed west of Asker, but the statue was finally placed outside Asker Church. The statue is 2,80 m high (including the base the monument is around 5 m high) and the base of the statue is made of syenite. Present at the unveiling ceremony were besides King Olav and the sculptor also Crown Princess Märtha's siblings Princess Margaretha of Denmark and Prince Carl Bernadotte as well as Crown Prince Harald, Crown Princess Sonja, Princess Astrid Mrs. Ferner, Johan Martin Ferner, Cathrine, Benedikte and Alexander Ferner, Prince Georg and Princess Anne of Denmark, Count Flemming and Countess Ruth of Rosenborg and Asker's mayor Jon Fossum. (To the right when you pass the Southern gate of the cemetery behind the statue one can find the grave of Crown Princess Märtha's eldest daughter Princess Ragnhild, Mrs. Lorentzen (1930-2012). Sources: Aftenposten 3 March 1959 No. 104, p. 4; Aftenposten 12 June 1969 No. 261, p. 1; Aftenposten 30 August 1969 No. 397, pp. 1 and 18. 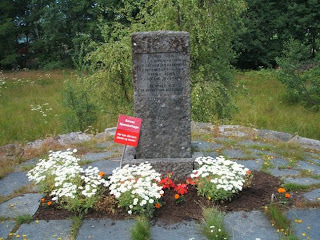 Postscript 7 July 2013 at 23:40: It should be added that Asker og Bærum Leksikon (Encyclopaedia), 2006, p. 355, claims that the statue was unveiled on 28 September 1969 (after being stored since 1958). This is definately wrong, cf. the newspaper references above. However, the entry about the Crown Princess Märtha monument also claim that it is 4 m high (statue + base), while Aftenposten 12 June 1969 No. 261, says it is about 5 m high. I really have no idea. 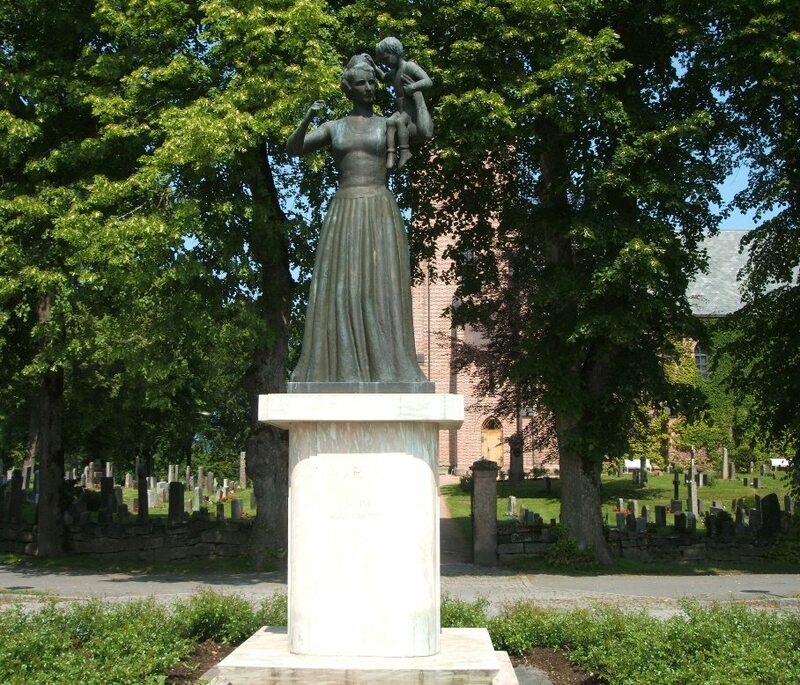 The monument is named "A happy mother to a little boy" and after all the disagremeents over where to place the statue it was King Olav himself who ended the discussion by expressing his wish that the statue should be outside the church. Updated on 8 JUly 2013 at 13:15 (corrected "main gate" to "Southern gate"). 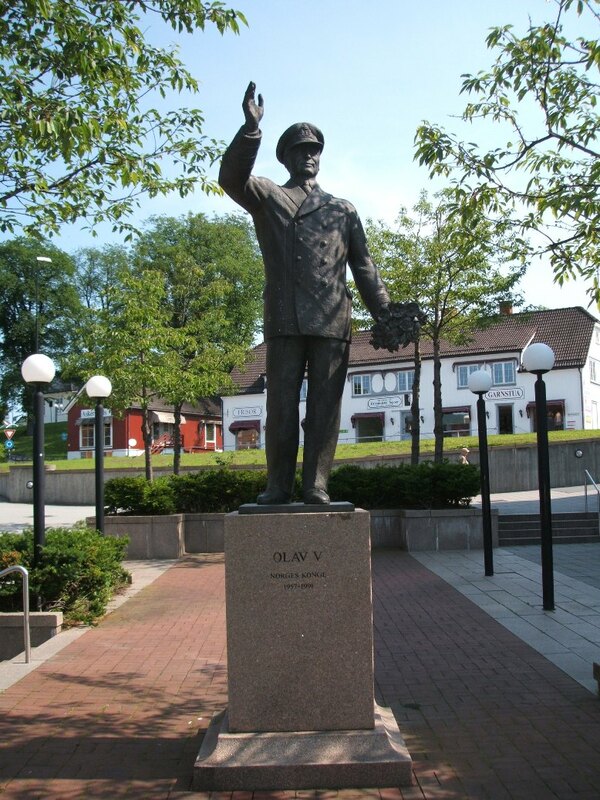 The statue of King Olav V in an admiral's uniform at Asker Torg was unveiled in 1998. The sculptor was Joseph Grimeland (1916-2002). Princess Ragnhild, Mrs. Lorentzen, b. The Royal Palace, Oslo 9 June 1930, d. Rio de Janeiro, Brazil 16 September 2012, was the oldest daughter of the then Crown Prince Olav (1903-1991) and Crown Princess Märtha (1901-1954) of Norway. 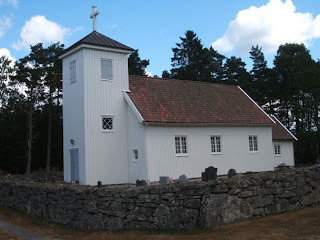 The funeral service took place at the Palace Chapel in Oslo on 28 September 2012, followed by interment at Asker Cemetery. 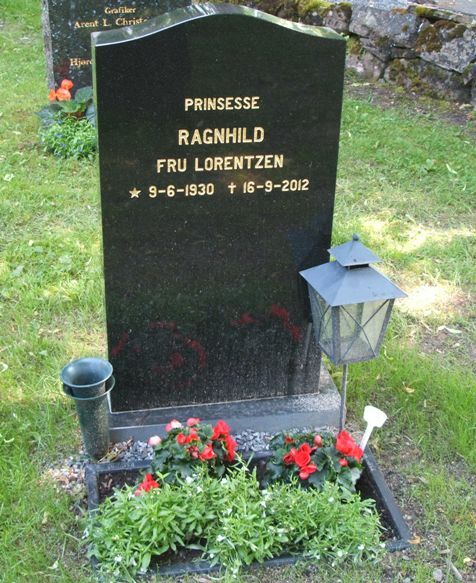 The three photos above show Princess Ragnhild's grave. An article about the church and cemetery will follow later. The journalist Louisa Peacock opens her article «Royal Baby name: Kate Middleton should go wild» (Telegraph.co.uk 3 july 2013) by stating that «The royal baby will become famous overnight regardless of what it's called» and continues by claiming that «This gives the Duke and Duchess of Cambridge free rein to call their prince or princess something completely loopy that everyone is at pains to pronounce and spell correctly - unlike most people's names». But no, the Duke and Duchess of Cambridge should not go bananas - or wild - when settling on the names for their firstborn child. In theory the couple could come up with whatever names they would like, but in reality they are bound by the traditions of the British royal family and monarchy and will most likely find names that can be found in earlier royal generations. Of course, there might be one surprise or two among the four given names that we expect the child will get, but the call name will most certainly be a traditional one. If the firstborn is a girl, I would be surprised if she is not named after her great-grandmother Elizabeth, although I am sure that names like Victoria, Charlotte, Alexandra and Mary will also be popular choices. Yes, if Victoria is chosen, Europe could end up with having two reigning queens with the same name at the same time (although the Swedish Victoria will most likely succeed many, many years before her British cousin), but that will hardly be a problem. Has anyone ever mixed up King Abdullah of Saudi Arabia and King Abdullah of Jordan? I don't think so. If the firsthborn is a boy, however, I think George is the most likely name. But, one thing is what name I expect the couple to settle on, another is what name I personally would have preferred (not that my opinion matters much, but I will have a go at it as anyone else). I wouldn't mind going back a few hundred years. 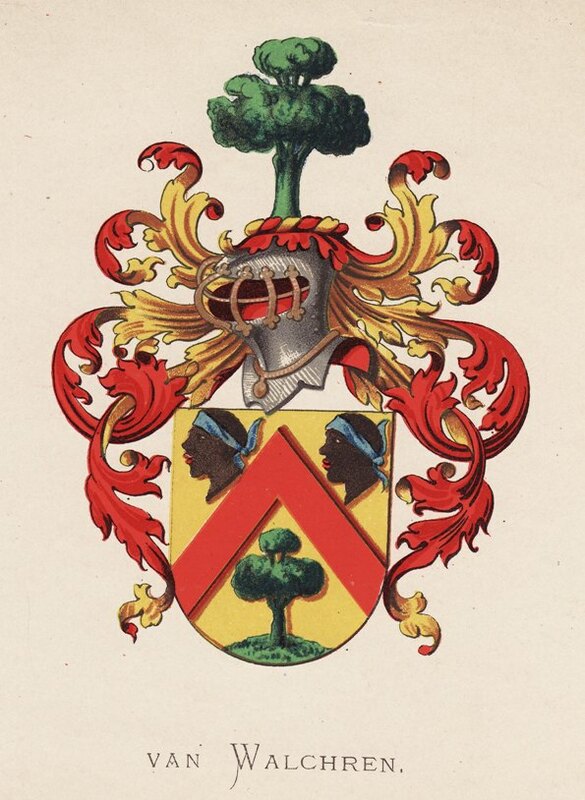 There have been several English kings named Richard, and that is also the name of Catherine's great-grandfather, Richard Middleton (1878-1951). 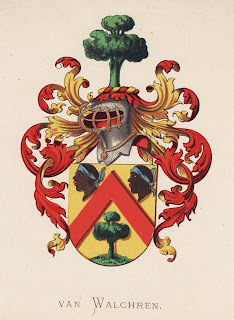 Yes, I know that the Duke of Gloucester, Queen Elizabeth's first cousin, is named Richard, so the connection could be closer than King Richard I, II or III. But if one really should go for some "wild names", one just have to look up The Ancestry of Catherine Middleton by William Addams Reitwiesner. What about Theophilus (ancestor no. 26) or Gaston (no. 1200) or Valerie (no. 5) or Olive (no. 9). Seriously, the majority of the given names found in the said book could be said to be rather traditional, but acceptable even today. And for the record, there is of course nothing "wrong" with any of the "wild names" I have mentioned, so there is no reason to take offence! Funnily enough, two nights ago I woke up after having dreamt listening to the names being announced on the radio. Crazy to have such a dream, huh? I can only remember the first two names, and they were Stanford Sixtus ... No, it won't happen. Not sure where I got Stanford from, but if you google it, you will find that there are quite a few men in the United States who are christened Stanford. Not sure where I got it from, but I started reading a biography about President Herbert Hoover the night before, and he gradutated from the said university in 1895, so that is a possibility. I can't explain Sixtus, though. A biography of the Norwegian-born US American portrait painter Bjorn Egeli (1900-1984) has recently been published, and I received my copy today. 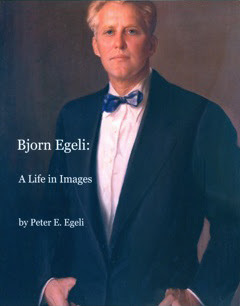 The book of 65 pages gives a short introduction to Bjorn Egeli's life and artistic career and includes several wonderful images of his works, including a portrait of President Dwight D. Eisenhower (Egeli also painted a portrait of President Richard Nixon). Information about the book, Bjorn Egeli: A Life in Images, by Peter E. Egeli (ISBN: 978-0-615-81743-9) can be found at the website BjornEgeli.com. 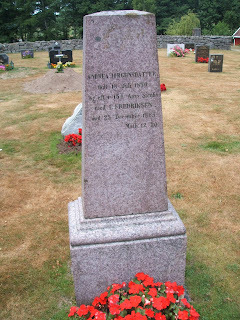 Bjorn Egeli, originally Herbjørn Peter Egeli, was born in Horten in Norway on 15 November 1900 as the eldest son of Even (Herbjørnsen) Egeli (1874-1915) of Kristiansand and Josephine Mathilde Wennerstrøm (1875-1921) of Hidra outside Flekkefjord. 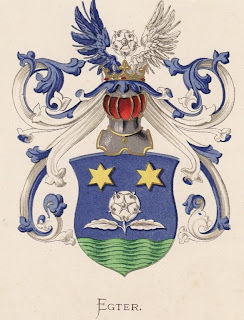 While Even Egeli and his two brothers Torkild and Hermann were born in Kristiansand, the Egeli family originally came from the cotter's farm Øykjeli at Haukeli in Vinje, Telemark, where their great-grandfather Svein Olsen Egeli (1779-1853) settled around 1826. The Egeli family were well-known for their artistic skills. 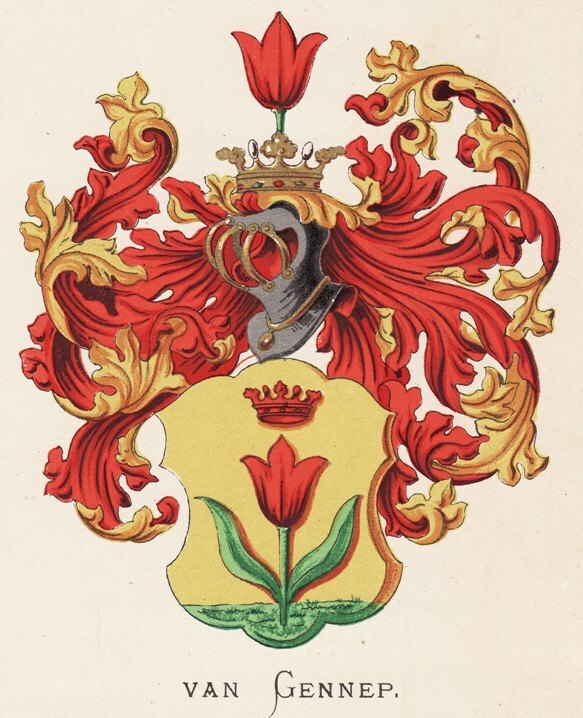 Bjorn Egeli's great-great-uncle Tor Sveinsen (1825-1882) was a recognized rosepainter in Telemark before he together with his family as well as 2 brothers and also his widowed mother emigrated to Wisconsin, USA in 1861. 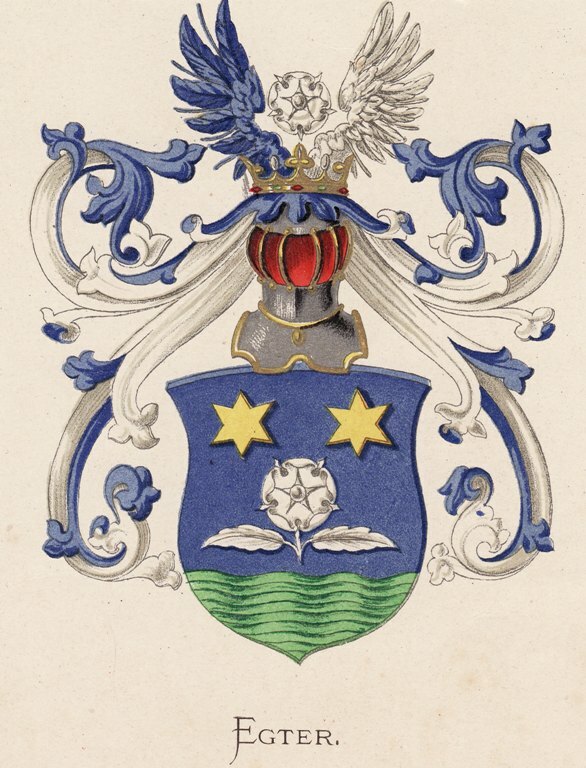 Tor's father Svein Olsen Egeli and brother Even (1822-1873) were both skilled ski carpenters. After Even's death two of his children - Svein and Hæge - and eventually also his widow Liv Tollevsdatter (1824-1905) - emigrated to the United States, leaving behind the eldest son Herbjørn Evensen Egeli (1848-1893). Herbjørn, who served in Kristiansand as an (non-commissioned) officer and later settled down as a fireman, was the artist Bjorn Egeli's grandfather. Bjorn Egeli moved with his family (he got two younger brothers, Arne Torleif (1902-1973) and Odd Eivind (1910-1970) from Horten to Kristiania (now Oslo) where he went to school. The family eventually settled in the parish of Vålerenga. After his father's death (he died of tuberculosis, as did Bjorn's grandparents and two first cousins) in 1915, Bjorn went to sea, where he spent 7 years before settling down in the United States, where he was trained as an artist. In 1931 he returned to Norway to visit his family. This turned out to be his last visit to his homeland. In 1932 he was married to Lois Baldwin (1908-1993) and had five children - Peter, Cedric, Bjorn James, Mary Lois and Carolyn - who all became professional artists. Also several grandchildren followed the same path. Bjorn, who bought the Glebe Farm in Valley Lee, St. Mary's County, Maryland in 1942, died on 20 October 1984, nearly 84 years old. I know the Egeli family well, as Bjorn's father Even Egeli (1874-1915) was the elder brother of my great-grandfather Torkild Johan Ekeli (1878-1939), and thus Bjorn was the first cousin of my grandmother Torborg Hoelseth (1924-1992). Having worked on my family genealogy for years, I tracked down the Egelis in Maryland in 1997 (for unknown reasons the Ekeli branch of Sandefjord - the spelling of the family name varied in the various branches - must have lost contact with Even Egeli's branch after Bjorn went to sea - there is no indication that Bjorn met his Sandefjord relatives during his visit in 1931 - the Sandefjord Ekelis kept in touch with Even and Torkild's younger brother Hermann, however). Since 1997 we have visited eachother in Norway and in the United States several times, and Bjorn's eldest son Peter and his wife were guests in my wedding in 2007. Considering the family connections, there is no wonder why the new book will become a treasured item in my library! 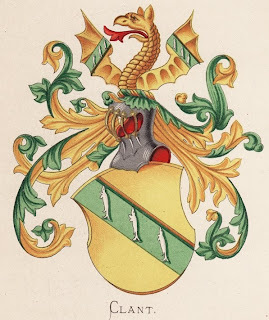 Some information about the Egeli/Ekeli family - including links to several Egeli websites in the United States - can be found at my website. See also the biography of Bjorn Ekeli at Wikipedia. In a televised speech at 6 p.m. tonight, King Albert II of the Belgians announced that he was going to abdicate on 21 July 2013, the Belgian national day. In the speech the king, who celebrated his 79th birthday on 6 June, said that his health was no longer good enough to fulfil his duties, and that it was time to "pass on the torch to the next generation". He also said that his eldest son, Prince Philippe, who is first in line, was "well prepared" to be his successor and that he had confidence in both his son and daughter-in-law, Princess Mathilde. As far as I understand the text of his speech, Albert II will hold his last speech as reigning king on the evening of 20 July 2013, before witnessing the swearing-in ceremony of Prince Philippe the day after. Diep ontroerd richt ik mij vandaag tot u allen. Ik ben mijn tachtigste jaar ingegaan, een leeftijd die geen enkele van mijn voorgangers in de uitoefening van zijn ambt heeft bereikt. Ik stel vast dat mijn leeftijd en mijn gezondheid mij niet meer toelaten mijn ambt uit te oefenen zoals ik dat zou willen doen. Ik zou mijn plichten niet nakomen en mijn opvatting van de Koninklijke functie niet huldigen mocht ik in die omstandigheden te allen prijze mijn ambt blijven bekleden. Het is een kwestie van elementair respect voor de instellingen en ten opzichte van u, waarde medeburgers. Na een regeerperiode van 20 jaar ben ik dus van mening dat het ogenblik is aangebroken om de fakkel aan de volgende generatie over te dragen. Ik stel ook vast dat Prins Filip goed is voorbereid om mij op te volgen. Hij geniet samen met Prinses Mathilde mijn volle vertrouwen. Met de tijd, en onder meer in het kader van de economische zendingen in het buitenland, heeft Prins Filip aangetoond hoezeer zijn inzet voor ons land hem na aan het hart ligt. En bovenal heb ik in de loop der jaren geleerd dat ons land op een buitengewone troef kan rekenen, en dat is U waarde landgenoten. Met een bevolking die zo rijk is aan talenten, aan verscheidenheid, aan edelmoedigheid en energie, is de toekomst van ons land in de beste handen. 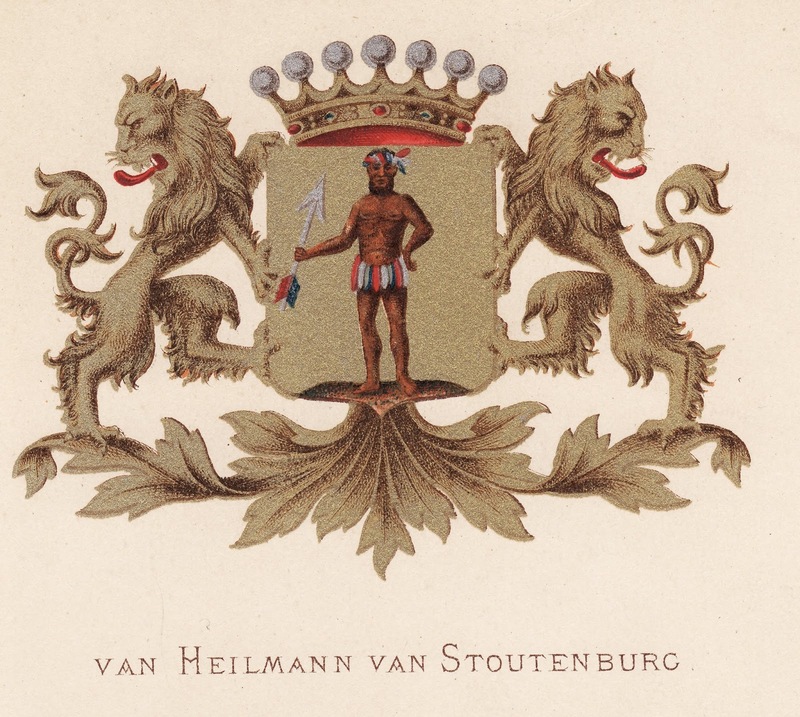 Het is dus met sereniteit en vol vertrouwen dat ik u mijn voornemen meedeel om op 21 juli 2013, de dag van onze nationale feestdag, af te treden ten gunste van de troonopvolger, mijn zoon Prins Filip. Tijdens mijn ganse regeerperiode heeft een vaste overtuiging met betrekking tot de Koninklijke functie mij geleid. De rol van Koning der Belgen en zijn legitimiteit bestaat erin ten dienste te staan van de democratie en van haar burgers. Zij zijn de enige rechtmatige titularissen van de soevereiniteit. In dat opzicht, moet het koningschap met zijn tijd meegaan. Op 20 juli zal ik u, zoals gewoonlijk, andermaal toespreken, en daarna zal ik samen met de Koningin en de nieuwe Vorsten, de plechtigheden van 21 juli bijwonen. Maar nu al wens ik u te zeggen, hoezeer ik het als een eer en een geluk beschouw, een groot deel van mijn leven te hebben kunnen wijden aan de dienst van ons land en van zijn bevolking. Koningin Paola en ikzelf zullen de hartelijke banden die tussen de bevolking en ons zijn gegroeid met de loop der jaren nooit vergeten. Wij danken u voor het vertrouwen dat u ons heeft geschonken, voor uw blijken van sympathie en van steun, ook weleens met enige kritiek. Maar altijd hebben wij u een warm hart toegedragen. Wij bewaren zoveel herinneringen aan talloze ontmoetingen in blijde dagen, maar ook in dagen van zware beproeving. Natuurlijk betekent het einde van mijn regeerperiode niet dat onze wegen nu uiteengaan. Wel integendeel! The speech in French translation can be read at the court's official website. (If an English translation is published later, I will replace the Dutch text.). BBC News' report can be read here, while Expatia.com's article is also well worth reading. After the king's speech, it was Prime Minister Elio di Rupo's turn, and his words can be read in Dutch and French here. King Albert II became King of the Belgians on 9 August 1993, upon taking the oath following the death of his brother, King Baudouin I on 31 Jul 1993. The king was married to Queen Paola, née Donna Paola Ruffo di Calabria in 1959. They have 3 children and 12 grandchildren. Prince Philippe, Duke of Brabant, is 53 years old and has got his education from the Royal Military Academy as well as Stanford University in California, USA, where he took a Master of Arts Degree in political science in 1985. He married Mathilde d'Udekem d'Acoz (b. 1973) in 1999 and they have 4 children - Elisabeth, Gabriel, Emmanuel and Eléonore. The eldest, Elisabeth, born in 2001, will become Duchess of Brabant and in time the first reigning Queen of the Belgians. The biography of the future king can be read here. The succession means that Belgium soon will have 3 queens - Queen Fabiola, widow of King Baudouin, Queen Paola and Queen Mathilde, a situation that doesn't happen too often. Not in Belgium, at least, but most people will remember the short time (1952-1953) when there were 3 queens in the United Kingdom - Queen Mary, widow of King George V, Queen Elizabeth the Queen Mother, widow of King George VI and (the reigning) Queen Elizabeth II. Princess Mathilde is half Polish and has an interesting background in the Polish nobility, as her mother was born Countess Anna Maria Komorowska and her maternal grandmother was Princess Zofia Sapieha. King Albert II will be the third monarch to abdicate this year. His neighbour Queen Beatrix abdicated on 30 April, while Sheikh Hamad bin Khalifa Al-Thani, Emir of Qatar, stepped down on 25 June. In addition Pope Benedict XVI resigned his papacy on 28 February 2013. I hope to come back with more details about King Albert's abdication and how Prince Philippe's accession to the throne is formalized in due time. The latest issue of Våpenbrevet (No. 89, vol. 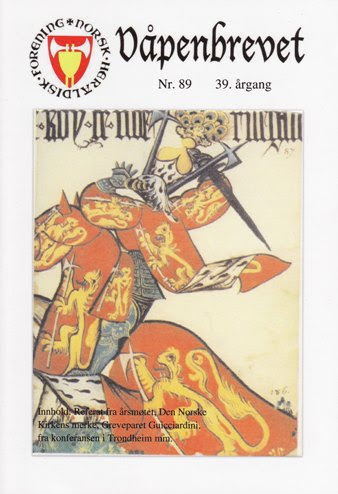 39, 2013), the newsletter of Norsk Heraldisk Forening (The Norwegian Heraldry Society), arrived in my mailbox today. 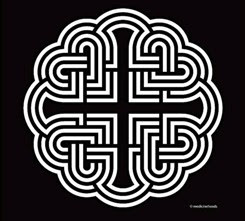 The main article focuses on the proposal to replace the present arms of the Church of Norway (a cross laid over two St. Olav's axes, see below) with a logo (emblem), possibly inspired by the rose window of the Nidaros Cathedral's west front, as suggested by Professor Knut Lundby at the University of Oslo (see below). 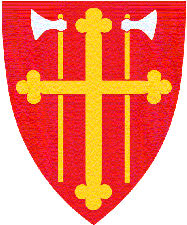 The Theological Committee of the Church of Norway, presided by Stephanie Dietrich, refers to the St. Olav's axe as a "murder weapon" and symbolizes violence and harassment/injustice. The Norwegian Heraldry Society, represented by its chairman Tom S. Vadholm, reminds the readers that the axe symbolizes St. Olav's death at Stiklestad and his death is regarded as a marthyr's death. 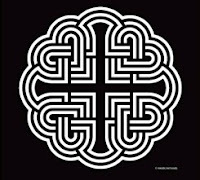 He opposes the idea of replacing an old, Norwegian tradition with "a newfangled logo". 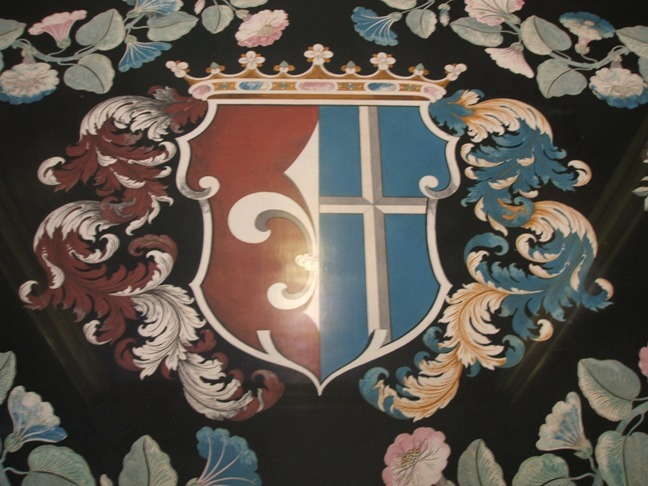 An article by Vadholm covering the same topic can be read at the Norwegian Heraldry Society's website (in Norwegian only). In the latest issue of Våpenbrevet one can also read the minutes of the society's annual meeting, which took place in May 2013, as well as articles on the comital family of Guicciardini, the heraldry exhibition at Galleri Vera in Drøbak in March 2013, where the artist Einar Evar showed his works, and the 7th Heraldic Conference in Trondheim (24-26 May 2013). The Dutch Royal Court announced on Monday 1 July 2013 the birth of Willem Jan Johannes Pieter van Vollenhoven, the third child of Prince Floris and Princess Aimée of Orange-Nassau. The little boy, who weighed 3650 grams at birth, was born at the Bronovo Hospital in the Hague on 1 July 2013 at 1.32 p.m. This is the couple's third child. The daughter Magali was born on 9 October 2007, while Eliane came along on 5 July 2009. Prince Floris is the fourth son of Princess Margriet of the Netherlands, younger sister of the former Queen Beatrix, and Pieter van Vollenhoven. Willem is Margriet and Pieter's 11th grandchild. Prince Floris married the then Aimée Söhngen in 2005. I received the latest issue of Royalty Digest Quarterly - no. 2, 2013 - nearly two weeks ago, but haven't had much time to look at it yet. As always it will be a great companion on my metro rides this week. Queen Beatrix of the Netherlands abdicated on 30 April 2013 on behalf of her eldest son Willem-Alexander and she is now known as Princess Beatrix. The editiorial column is of course full of praise of the former queen and her many years of service to the the Dutch people. Her engagements will not stop, though, but she has allowed herself to reduce the number. The magazine's historical consultant, Charlotte Zeepvat, got the first part of her article The True Value of Home. The life of Grand Duchess Maria Pavlovna the younger published in March, and the second part, subtitled Sweden, Russia and exile, came in issue 2. Zeepvat's second contribution this time is the obituary of H.R.H. 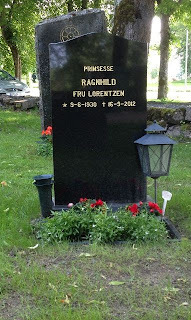 Prince Moritz, Landgraf of Hesse 1926-2013, who died on 23 May. The Brazilian Alberto Penna Rodrigues has made several contributions to the Royalty Digest Quarterly over the years, and this time the readers can enjoy the article Captives - The Duchesses of Aosta and the Nazis. 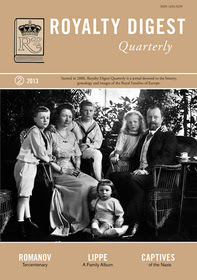 One the cover is a photo of Prince Leopold IV of Lippe (1871-1904-1918-1949) and his family. The prince returns in the photo article LIPPE - A Family Album, this time provided by Ricardo Mateos Sáinz de Medrano. 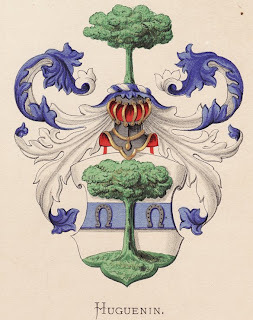 The article includes as usual a short introduction to the family, a large collection of photos - 66 in all - as well as 4 pages with genealogical tables. The year 2013 marks the 400th anniversary of the founding of the Romanov dynasty, and this is marked by Marion Wynn's article The Tercentenary of the Romanovs. Pilgrimage to Kostroma. Elizabeth Jane Timms is the next one out with the article Engagement at Coburg, which is the second article about the Romanov dynasty, as it dwells on the engagement between Tsarevich Nicholas of Russia (later Emperor Nicholas II) and Princess Alix of Hesse in April 1894. Then Michael Nash returns with a new article about the late Archduke Otto of Austria, titled The Centenary of Otto von Habsburg 1912-2012. An English Visit remembered. The visit in question was the one the former crown prince paid to Norwich, England in March 1994. The article goes beyond the visit, though. A rather nice portrait of "the last real representative of the lost world before 1918 ..."
Finally the magazine provides the regular column The World Wide Web of Royalty, this time with news about the royal, princely and/or mediatized houses (etc., etc.!) 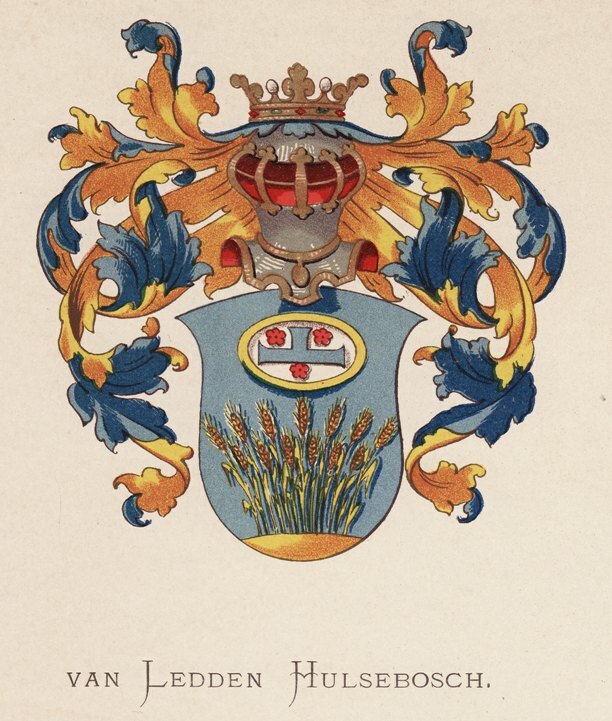 of Bavaria, Denmark, Hesse, Hohenlohe-Bartenstein, Hohenzollern, Murat, Ortenburg, Schaumburg-Lippe, Schwarzenberg, Solms-Braunfels, Solms-Hohensolms-Lich, Sweden and Waldburg-Zeil. For Rosvall Royal Books' own presentation of issue no. 2, 2013 go here.